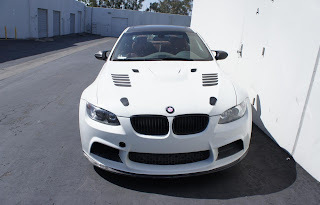 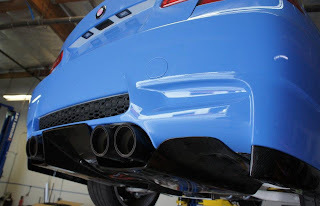 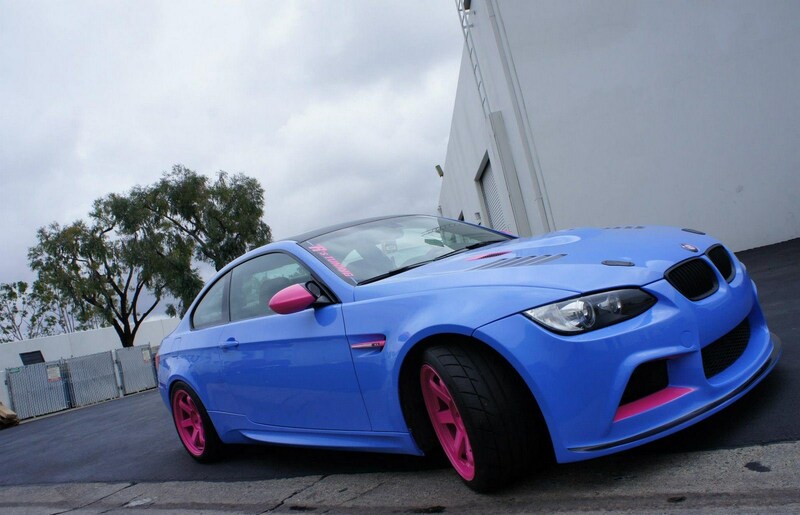 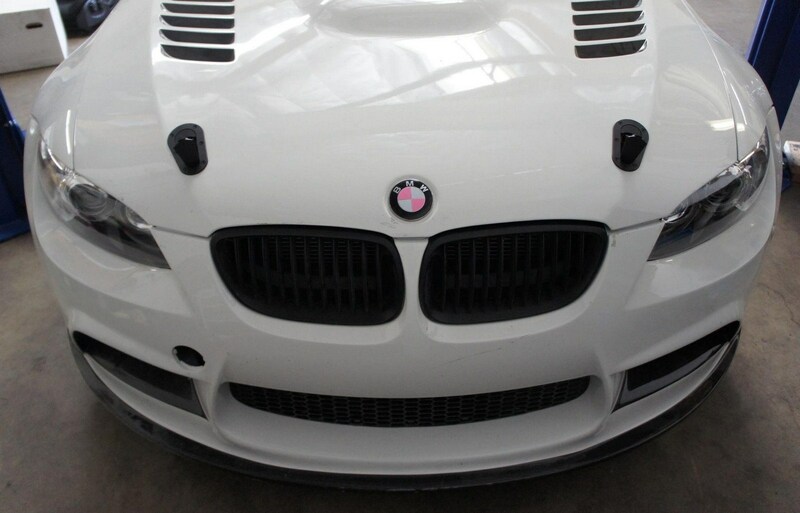 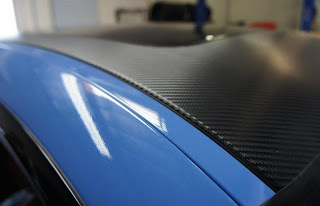 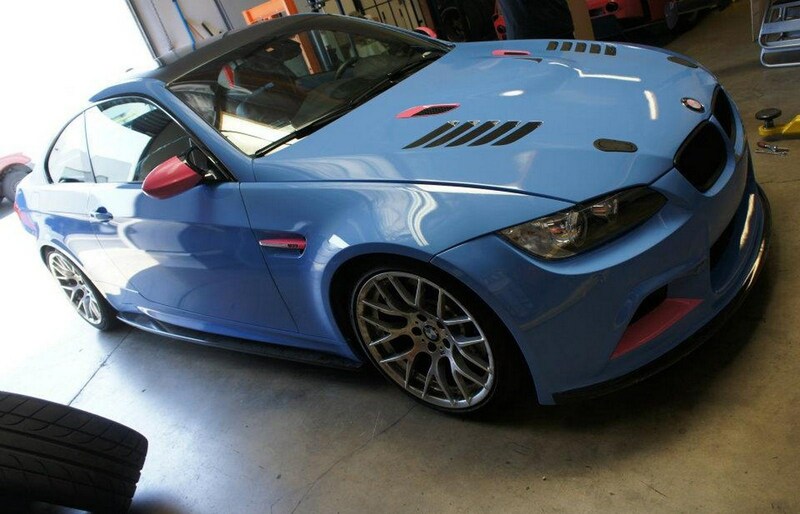 The R's Tuning have completed work on a BMW E92 M3. 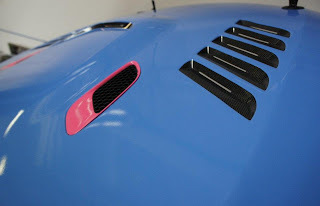 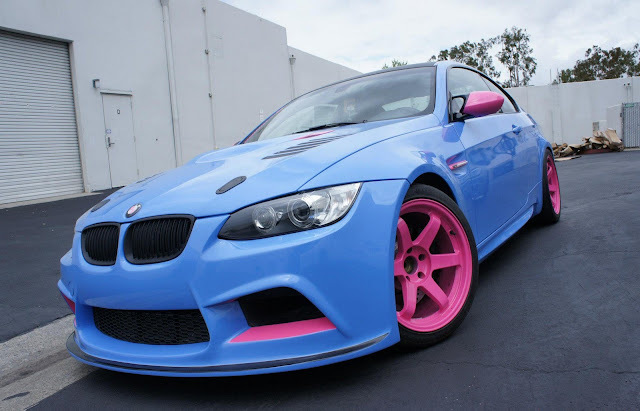 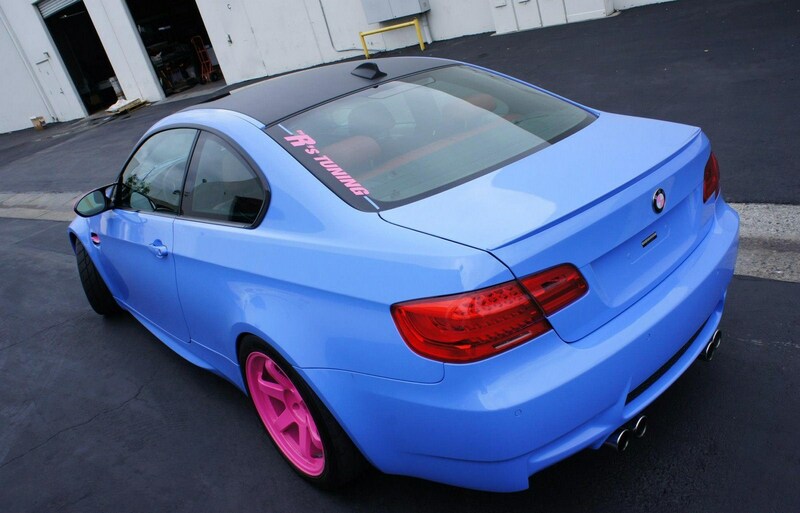 The original car was white, and it was painted in blue with pink accents. 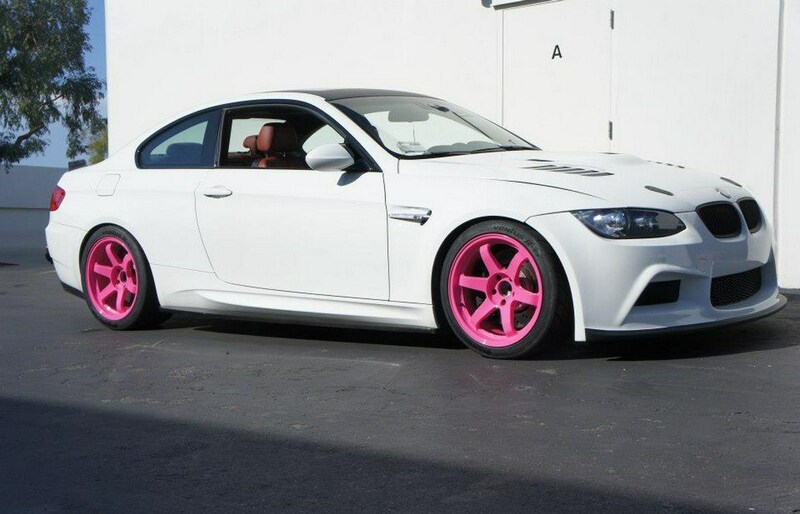 The rims are pink, as well as the mirrors and the edges of the air intakes. 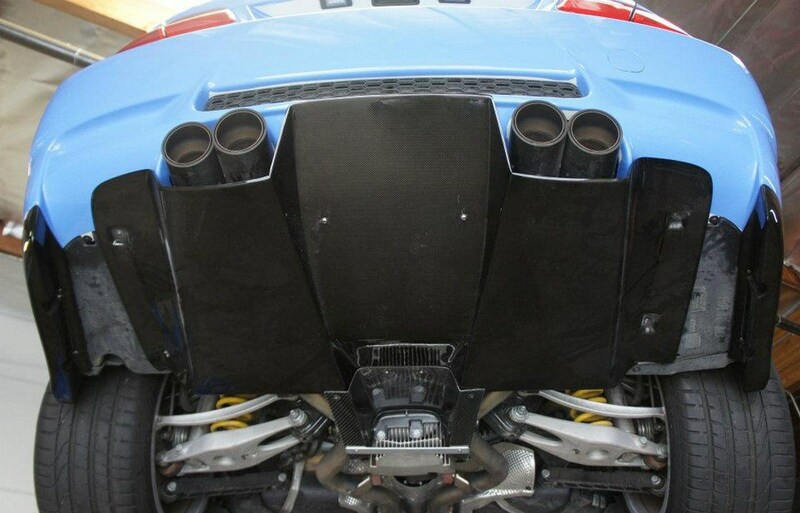 The car is fitted with Akrapivic exhaust. 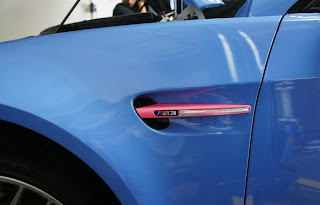 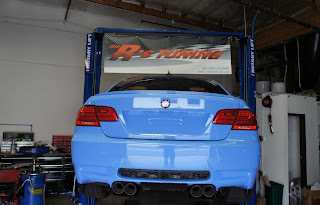 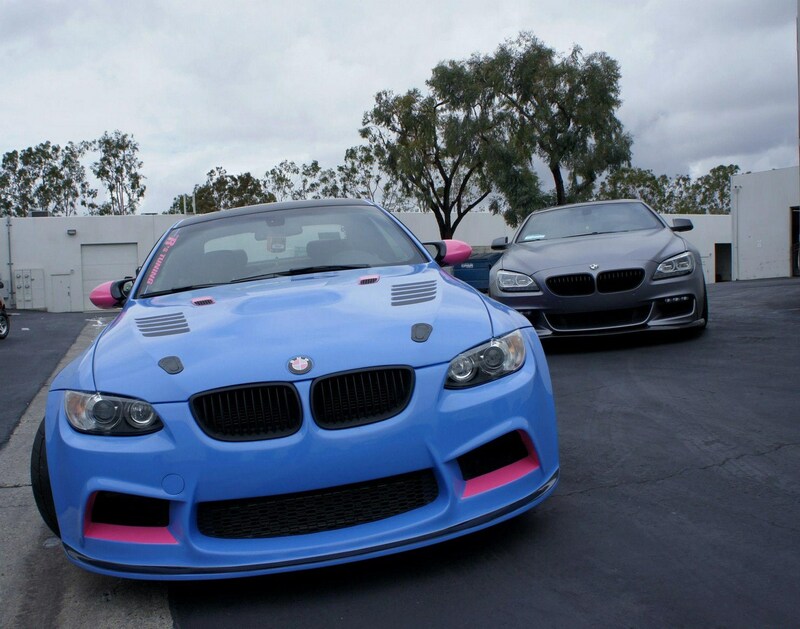 The R's Tuning hanno ultimato i lavori su una BMW E92 M3. L'auto originale era bianca, ed è stata pitturata di azzurro con accenti rosa. 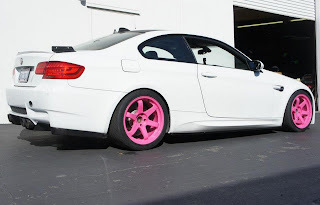 Anche i cerchi sono rosa, come pure gli specchietti e i bordi delle prese d'aria. 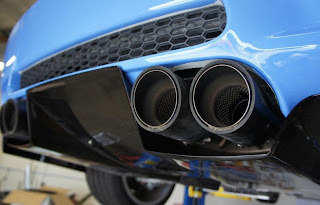 L'auto monta scarichi Akrapovic.